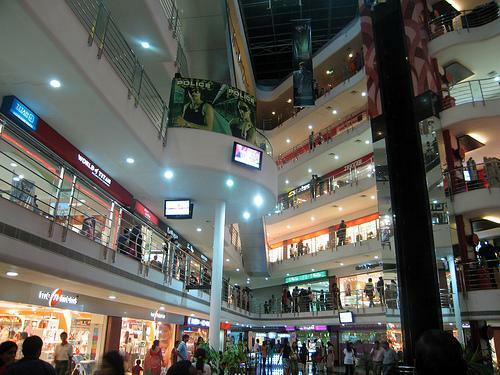 From a forest area used for hunting during the reign of Nizams to an urban commercial centre in Hyderabad, Banjara Hills replete with restaurants, shopping malls and posh hotels. Laxmi Cyber Centre is the highest building in Banjara Hills with the lovely Jalagam Vengal Rao park, Kasu Brahmananda Reddy National Park (which houses well known Chiran Palace), HITEC (Hyderabad Information Technology Engineering Consultancy) city and Lamakaan cultural centre in the vicinity. Hamed Khan Kunta or Banjara lake nearby was built in 1930 and efforts are on for its conservation. Nearby localities include Ghatkesar, khairtabad, Dilkushnagar and Kothi which are accessible by APSRTC buses. Khairtabad has an MMTS Train Station. The flyovers cater to ever increasing daily load of traffic and vehicles. Jubilee Hills and Banjara Hills are elite addresses in Greater Hyderabad where property prices are supposedly sky rocketing! In Banjara Hills, road numbers run from 1 to 14, with road numbers 1 to 3 dedicated to business establishments. I went Hyderabad first time in 2013 and watched Aashique 2 Movie in Inox with my some of close friends. We had great time that day, enjoyed a lot. thanks for giving the information, i will definitely visit this place as i am going to hyderabad soon. can you suggest me some of the best coffee shops in this area?